Below is information on the Bombardier CRJ700 Dimensions. These Dimensions are also the Bombardier CRJ700 NextGen dimensions because there is no change in the size of the CRJ700 NextGen in comparison to the orginal CRJ700. Above Bombardier CRJ700 Dimensions Page photo by BriYYZ on Flickr. Photo (only) released under a Creative Commons License. 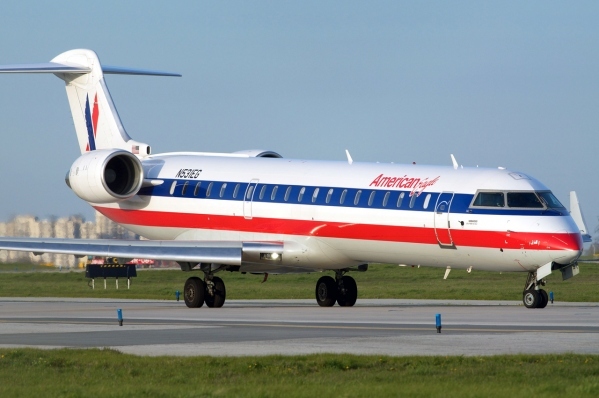 The Bombardier CRJ700 Dimensions are also referred to as the Canadair CRJ700 Dimensions, Canadair Regional Jet 700 Dimensions and the Bombardier CL-600-2C10 Dimensions.